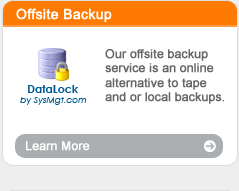 DataLock Online Backup: Our premier product, DataLock Backup allows your business to store its essential data off-site for disaster recovery online using our secure Datacenter. We provide expert installation support and configuration. Whether looking for an alternative to tapes, meeting compliance regulations or simply proactively protecting your business, DataLock is a great solution. Online Exchange Services: Advanced Email for power users with Calendar, Contact, Email, Webmail and remote access.Hosted Exchange email allows businesses to have enterprise grade email with the ability to share calendars, inbox's and many other features. Blackberry Enterprise Add-On: for Power users. Allows over the air synchronization of email as well as Calendar and Contacts. 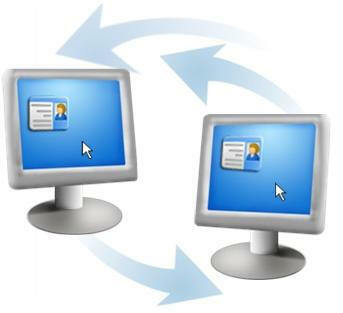 Blackberry Enterprise server allow you to sync all your data with Outlook in real time. Server and Network Monitoring: Server and Network monitoring allow us to know immediately if there is a problem with the critical components of your network. No more need to decide if you need to call for support.. we call you and can quickly identify and fix the problem. 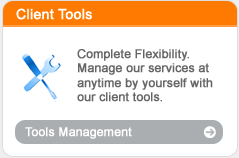 Remote Support: We have the ability to support you remotely wherever you are. We can quickly reboot a server, remove a virus or simply help you with an application installation.With remote support we can help you instantly. SmarterMail Email: Smarter Email is for users looking for basic email for their business but who don't need all the advanced features of Exchange or Outlook. 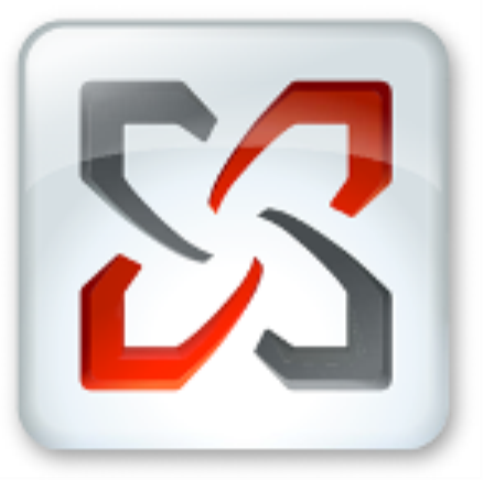 Smartermail is a web based email system that also allows POP and IMAP access. Website Hosting: We offer premium web hosting on both Windows 2003 (IIS 6.0) and Windows 2008 (IIS 7.0) Web servers with many advanced features including DotNetPanel Control access, FTP, MySQL, Microsoft SQL, PHP 5.1, PERL, ASP, .Net 3.5, and many autoinstallers to quickly get your site up and running. Website Statistics: SmarterStats is a premium web statistics package that allows your business to interpret visitor traffic to your site. By analyzing your SmarterStats information you can make key decisions related to website improvements, SEO optimization and keyword advertising. Virtual Servers: Virtualization is available for a multitude of uses: Dedicated Web servers, Application Development, Demo Environments, and even production settings. We offer full Virtualized environments to suit all your needs.